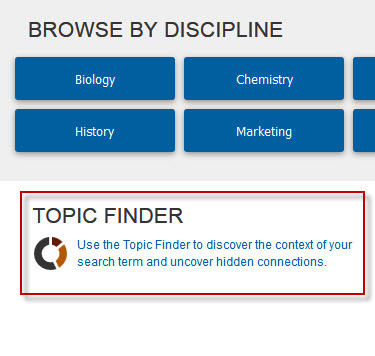 The Gale Academic OneFile Topic Finder is a tool designed to help you find new topics or keywords and discover new connections found in the top results. 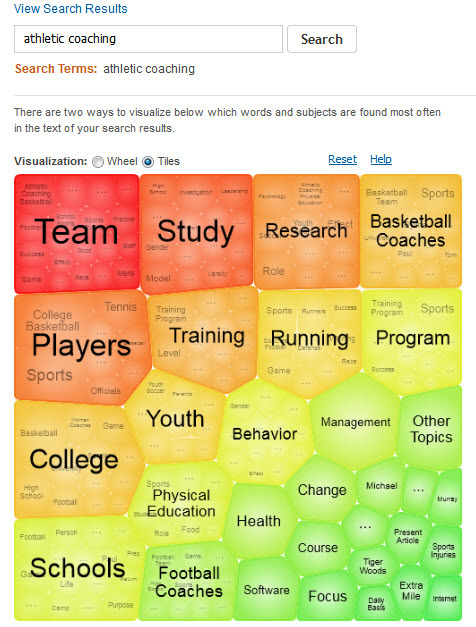 There are two ways to visualize below which words and subjects are found most often in the text of your search results. To access the Topic Finder, click the link on the bottom of the Academic OneFile home page. The best way to pick a topic is to have plenty of time to think about it very early on. If you are in a dissertation track program, you will want to start thinking about potential topics as soon as your first course. Begin thinking about the type of research you would like to do by asking yourself the questions below. Record topic ideas in a log or journal, making sure not to evaluate any ideas during the process. Remember, even seemingly silly ideas can lead you to relevant new topic areas and research questions. This process can be an invaluable way to recall ideas that you may forget as you progress through your program. What are your major interests within your discipline? What personal experiences have you had that were particularly significant or meaningful to you, as it relates to your discipline? What coursework did you take that you found most exciting? What theories and concepts are most interesting to you? Are there some ideas you have studied which you are curious about and would like to explore more? What are your career goals upon completion of your degree? What are the major issues or problems faced in your industry today? Have you read any interesting articles or books related to your discipline? 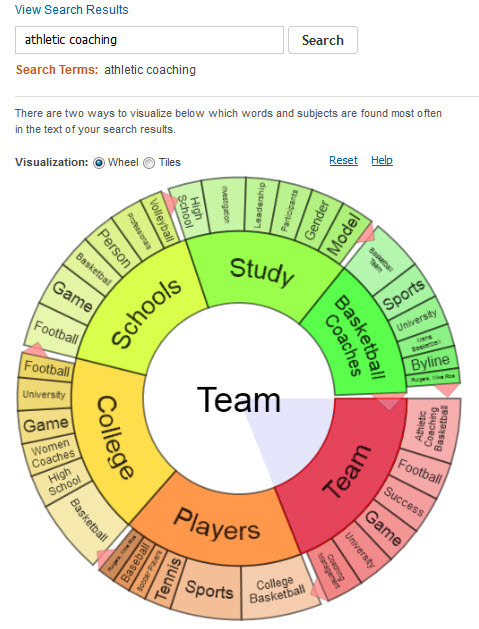 The next step is to start identifying keywords related to your potential topic ideas. Try to break down your topic or research question into 2-4 overall main ideas; these main ideas become simple keywords which “point the way” to research in that area. Similar to the Topic Ideas Journal, keep a keyword list when you are researching a topic. Mind maps, also called concept maps, are diagrams that demonstrate relationships between concepts, ideas or other pieces of information. Mind maps can be particularly helpful during the brainstorming process as they may lead to you important related topics and help you to expand your search. An internet search for mind map software will reveal websites and software products for mind mapping. 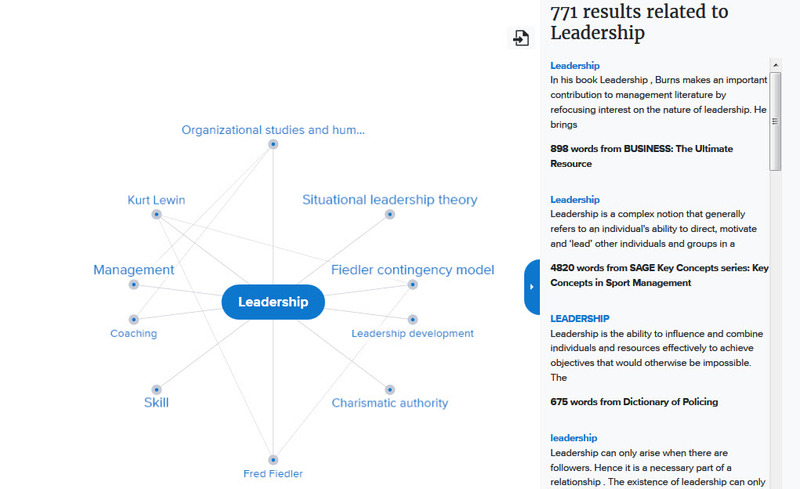 The Credo Reference database provides a Mind Map tool that displays the connections between Credo Reference search results in a visual, interactive and easy-to-use format. 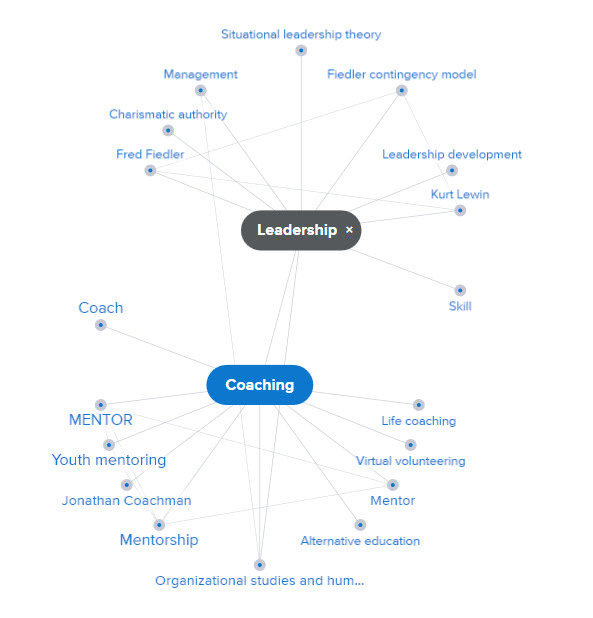 Select Mind Map from the drop down menu next to the search box, as shown below. The map displays your search term at the center of the map and related in the surrounding ring. The surrounding concepts represent concepts that show up most frequently with the central concept, in Credo's content as a whole. The bigger the font size, the more frequently the concepts occur together. The panel on the right shows Credo reference articles related to the central concept. Click on any term in the map to re-center the search around that node, with new words populating the map in new directions. The terms listed on the right will always match the center of your map. Click one to read the full text of the Credo article in a new tab. The terms that you've visited are saved in the Recent Mind Maps list at the top of the Mind Map. Click on any term to return to that view of the map. A resource included in some course syllabi is called Mind Meister. The Mind Meister website allows you to try a live demo, view video tutorials, and create up to three mind maps for free. There is also a free 30 day trial on all subscription plans. Please refer to your course syllabus for basic instructions. You can also visit the Mind Meister Support site for additional assistance.